I actually put this quilt top together last year, but waited to finish it because the grandson for whom it was made wasn’t in a “big boy bed” yet. Now, here is the finish in time for his pre-Christmas excitement. The idea was to use cute Christmas novelty prints. 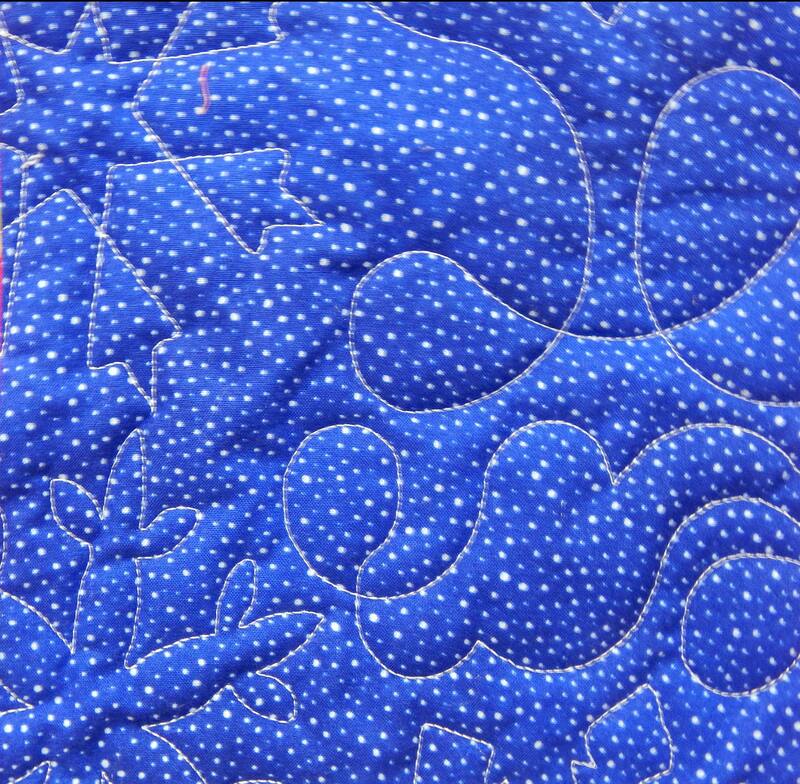 There are plenty of those available, but they don’t lend themselves to intricate piecing so I used the old reliable Turning Twenty Again pattern. 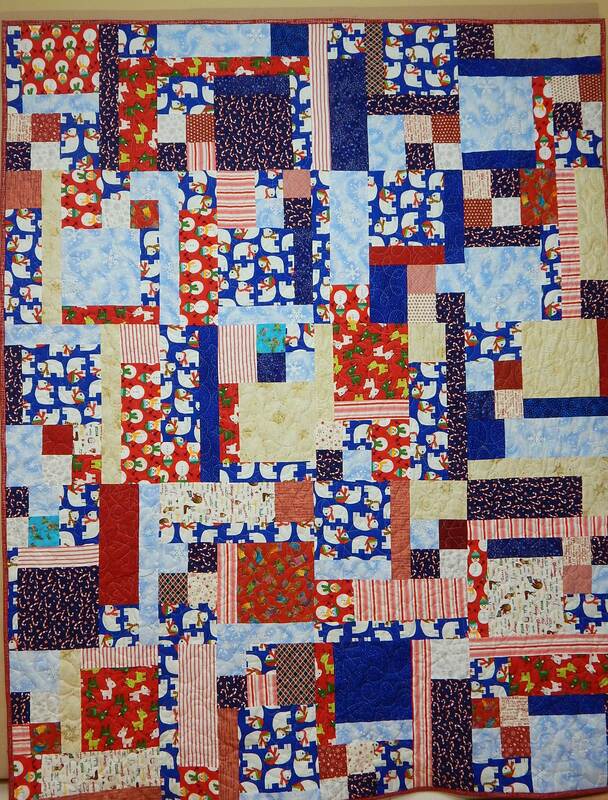 I’m not sure I like how chopped-up it looks, but the point is for the child to have fun finding the different items in the novelty prints, and the layout serves that purpose The quilting was done by my friend Joyce Miller in a pattern of swirling snowflakes. The backing is a flannel I bought a couple of years ago. 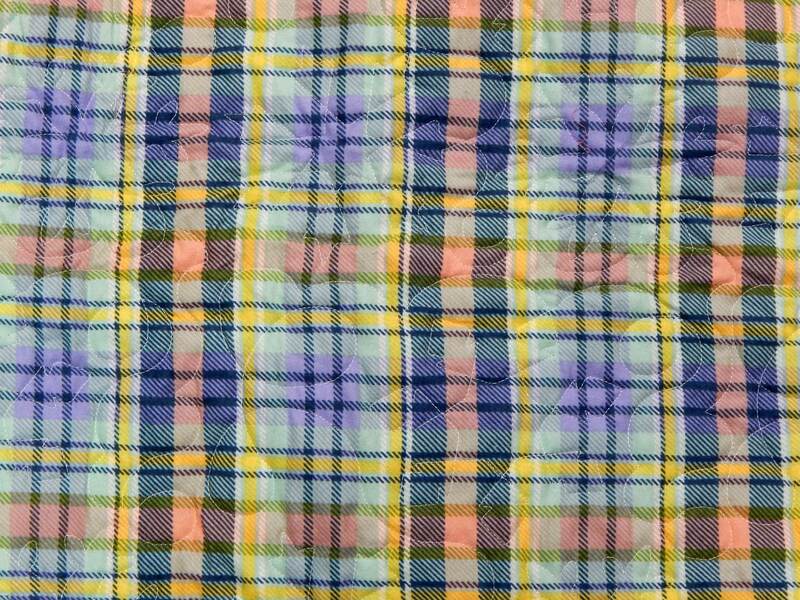 Flannel shrinks more than most cotton fabric, so I pre-washed it. The finished size is 62″ x 73″.